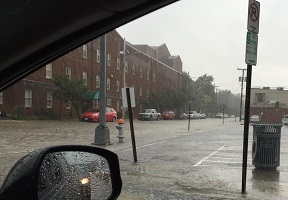 This afternoon’s heavy rains led to localized street flooding in the downtown Roanoke area as close to two inches of rain came down in about 45 minutes. 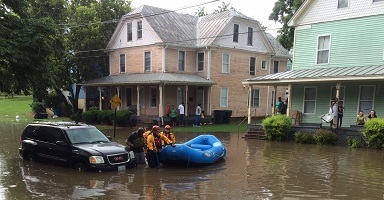 Roanoke Fire-EMS reports its Swift Water Rescue Team helped a stranded motorist in the 900 block of Campbell Ave. The thunderstorms that moved through also left more than 1,800 customers in Roanoke City and County without power.